Dwayne Winseck is Professor at the School of Journalism and Communication, with a cross appointment at the Institute of Political Economy, Carleton University. Dwayne’s co-authored book with Robert Pike Communication and Empire: Media, Markets and Globalization, 1860-1930 won the Canadian Communication Association’s book-of-the-year prize in 2008. He is co-editor, with Dal Yong Jin, of Political Economies of the Media (2011) and several other edited and sole-authored books. 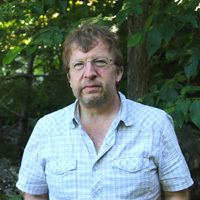 Dwayne is also director of the Canadian Media Concentration Research Project and has been the lead Canadian researcher in the International Media Concentration Research Project since 2009. His research, data and views on media concentration and telecom, media and internet issues are well known and have been solicited or cited widely in the scholarly literature and by the Parliament of Canada, Canadian Senate, Department of Canadian Heritage, the CRTC, WTO, ITU, amongst others. Dwayne also writes for the Globe and Mail and maintains a well-regarded blog, Mediamorphis. His keynote paper to the New Zealand Commerce Commission’s conference, The Future with High-Speed Broadband, was cited heavily in the Commission’s final report on broadband internet services in May 2012.
national and international regulatory experts and bodies (e.g. the Canadian Radio-television and Telecommunications Commission, World Dialogue on Regulation for Network Economies sponsored by the ITU, World Bank and several Danish universities, as well as the World Trade Organization (e.g.www.wto.org/english/thewto_e/minist_e/min01_e/wto_matters_e.pdf). I am currently involved in several research projects and initiatives. The most significant of these is the International Media Concentration Research Project. This project brings together roughly 50 scholars from around the world to examine the state of concentration over a span of twenty-five years in nearly every segment of the media and telecoms industries, from the press, television and the film industries, to the Internet and wireless telephony, among many others. Using a standard methodology across such a broad range of media, dozens of countries, and over a long span of time, the project – initiated by the Columbia Institute of Tele-Information at Columbia University, New York – aims to create a rich and authoritative body of evidence and analyses that help to further understanding of the highly contentious and extremely important subject of media concentration. While not formally a part of this effort, my work on the International Media Concentration Project is directly contributing to two new book initiatives. The first of these is a sole-authored initiative and is tentatively entitled Political Economies of the Media and Cultural Industries. London: Bloomsbury Academic (contracted for publication in late-2010). A second and closely related initiative is a joint effort between Professor Dal Yong Jin (Simon Fraser University). This co-edited volume includes the work of a dozen scholars from North America, Europe, Asia and Latin America and its main thrust is evident in our working title, Political Economies of the Media: Ownership, Markets and Financialization of the Media and Cultural Industries. London: Bloomsbury Academic (contracted for publication in late-2010). Lastly, I continue to be very interested in the study of ‘global media history’, and to this end I am collaborating with a colleague from Delhi, India, Vibodh Parthasarath, on another co-edited collection tentatively entitled: Global Media Histories: The Flow of Media, Capital, People and Ideas in the Late-19th and Early-20th Centuries. We expect to complete this effort in late 2011 and submit it to the Series Editor at Routledge (London)). The following is a list of the books that I have written, co-authored or co-edited over the years, a selection of recent refereed journal articles and book chapters as well as a few notable special lectures that I have been invited to present. Winseck, D. & Pike, R. Communication and Empire: Media, Markets, and Globalization, 1860-1930. Durnham, N.C.: Duke University Press, 2007, 429 pp. ReConvergence: A Political Economy of Telecommunications in Canada. Cresskill, NJ: Hampton, 1998, 379 pp. Bailie, M. & Winseck, D. (eds.). Democratizing Communication? : Comparative Perspectives on Information and Power. Cresskill, NJ: Hampton, 1997, 450 pp. Sreberny-Mohammadi, A., Winseck, D., McKenna, J. & Boyd-Barrett, O. (eds.). Media in Global Context. London, UK: Edward Arnold, 1997, 384 pp. Winseck, D. & Pike, R. The Global Media and the Empire of Liberal Internationalism, circa 1910-1930. Media History, 2009, 15(2), 31-54. Information Operations ‘Blowback’: Communication, Propaganda and Surveillance in the Global War on Terrorism. International Communication Gazette, 70(6), 419-441, 2008. Media Ownership and the Consolidation of Media Markets. Sociology Compass, 1(1), 34-47, 2008. Winseck, D. & Pike, R. Communication and Empire: Media, Markets and Globalization, 1860-1910. Global Media and Communication, 4(1), 7-37, 2008. Pike, R. & Winseck D. The Politics of Global Media Reform, 1907-23. In P. James (ed.). Globalization and Culture. London, Sage, 2009. Communications and the Sorrows of Empire: Information Operations ‘Blowback’ and Surveillance in the Global War on Terrorism. In S. P. Heir and J. Greenberg (eds.). Surveillance and Social Problems: Canadian Perspectives (151-168). Blackwood, NS: Fernwood 2008. Pisagjes Transnacionales en la Red de Poder y Iudades Conectadas: La Estructur, la Geografia y el Gobierno del Ciberespacio. In A. M. Celis & E. G. Romere (eds.). Fronteras En America Del Norte (pp. 475-496). Mexico: Sage, 2004 (trans. by editors). Globalizing Telecoms and Media Histories: Beyond Methodological Nationalism and the Struggle for Control Model of Communication History. Invited Paper presented at the “Telecommunication and Globalization: Information Flows in the Nineteenth and Early Twentieth Century” conference, University of Heidelberg, Heidelberg Germany. September 25-26, 2009. Communications Media and Global Orders: Media, Markets and Empires – Past and Present. Keynote Address to the First Global Media Journal Symposium, University of Ottawa, November 14, 2008. “Magisterial Lecture” by special invitation of Profeco, the Consumer Protection Bureau, Government of Mexico, Mexico City, March 15, 2007. Title of Address: Deepening the Transformation of the Mexican Communications Media Landscape. Political Economy of Communication (COM 4104b) Fall 2009, Fall 2008. Global Media and Imperialism (MCOM 4108) Winter 2010, Winter 2009. Foundations in Communication Studies (COM 5101) Winter, 2008, Fall 2009. Doctoral Seminar in Communication Studies (COM 6000) Fall, 2008. Brown, Felicity (MA). A Familiar Villain: Surveillance, ideology and popular cinema. Master of Communication Studies thesis Auckland University of Technology, 2005. Carter, Sheehan (MA). The public interest and cable regulation in Canada: The application of public interest concepts in the regulation of television distribution by the CRTC. School of Journalism and Communication, Carleton University, Nov. 2007. Chinapen, Rhiana. (MA). Politics and Profit: Limited Democracy and the Press in Post-Apartheid South Africa. School of Journalism and Communication, Carleton University, Oct. 2009. Desroches, Davina (MA). Open Access and the Crisis of Canadian Scholarly Communication. Department of Canadian Studies, Carleton University, Sept. 2009. Evans, Byrne (MA). Commericalizing national identity: The New Zealand Americas Cup campaigns, 1992 and 1995, External Examiner for Auckland University of Technology, School of Communication Studies, Mar. 2005. Fritz, Melissa (MA). The gender divide and Internet access in Canada. School of Journalism and Communication, Carleton University, June 2004. King, Rawlson, (MA). The Dialectical Nature of Control Upon Electronic Networks. School of Journalism and Communication, Carleton University, Dec. 2006. Steeves, V. (Ph.D.). A Communicative-Theoretic Approach to Privacy. School of Journalism and Communication, Carleton University. June 2005. Pigeon, Marc-Andre (Ph.D.). Conflict à Consensus à Convention: The Depoliticization of Canada’s Economic Discourse. School of Journalism and Communication, Carleton University, October 2008.